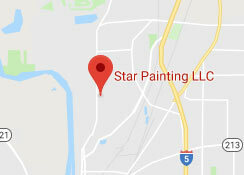 Star Painting LLC’s in-house team of expert, painting contractors in Salem, OR provide commercial and residential services for homes and facilities within the Salem, Oregon area. Our certified painters are Star Painting employees – skilled in repairing, priming, and painting indoor and outdoor surfaces. Using the latest technology and experience with a variety of paints and application styles, our team can handle any size project. 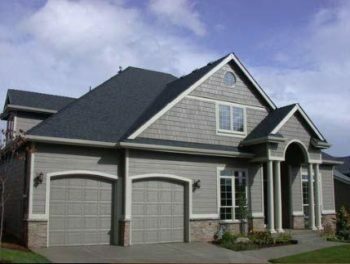 A high-quality paint job protects your home and increases its value overall. But there are plenty of painting services that do a poor job of helping you achieve either of those goals. Choose a painting contractor who understands the construction trade inside and out, including how to choose paint for different environments. Star Painting is OSHA and lead-based paint certified, meaning we can replace paint on homes built prior to 1978. The people who paint your home are Star Builders employees, not subcontractors. 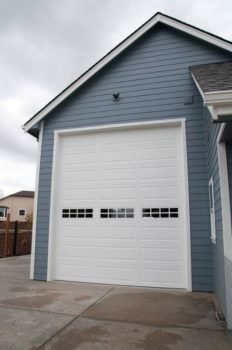 And the standards we apply to everything from remodels to whole-home builds applies to even the smallest projects. If you need help replacing paint on an older home, or painting an addition or other structure for the first time, give us a call. We do it right the first time so your paint will look great and last for decades. Whether you simply just don’t like the color or the paint is cracking, blistering, wrinkling, or fading, we can help. Paint from Star Builders is guaranteed to be applied using the highest standards with long-term durability in mind. For example, we always check to make sure old exterior paint is thoroughly removed by scraping or sanding and letting the surface beneath dry fully before applying new exterior paint. If you’re considering interior paint, we can advise you on brands, colors, and ways to stay on budget while getting the look you want. Beautify and protect the surfaces in your home with high-quality paint applied by a skilled painting contractor. We help you choose colors that create the right atmosphere and compliment other features such as flooring, tile, furniture, artwork, linens, and cabinetry. We take care to protect crown molding, window frames, door frames, flooring, and baseboards from drips and staining with painter’s tape and precise placement of other protective materials. Star Builders uses low-toxicity paints for indoor projects and takes steps to maximize ventilation during and after we paint.